Today, the "Guangdong Province, medical malpractice prevention approach (third draft)" was released via the provincial Office of Legislative Affairs portal (http://www.fzb.gd.gov.cn /) for public comment. The draft covers medical malpractice claims under RMB1 million by negotiated settlement; and states that claims of more than 10,000 yuan in the public sector shall not be handled through consultations with patients or their close relatives themselves. 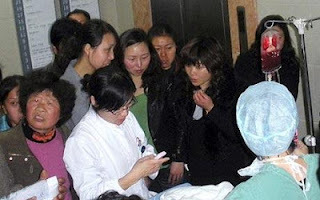 It is understood at all levels of public hospitals in Guangdong in 2010 reported 25000-30000 medical disputes, of which over 90% relate to medical malpractice in the doctor-patient consultations. However, many patients show distrust and suspect "cronyism care". Obviously, this draft regulations will lead compensation for medical malpractice via legal channels, but also to promote the "conditional prefecture level a trial of medical malpractice arbitration. As well as previous arrangements such as patient- hospital consultations, administrative mediation and judicial litigation, the draft provides other channels such as mediation by commission, and provides ground level listed judicial and administrative departments of the people's government to guide the local establishment of medical co-ordinating committees, and the people responsible for the administrative area of ​​medical malpractice mediation work. In addition, the guidelines seek to establish a medical disputes prevention mechanism, standardized health administrative procedures and departments, and standard procedures for processing cause of death reporting, objections and regulations covering handling of corpses.